Webaholics has a great client spotlight! Traveling in Paradise! 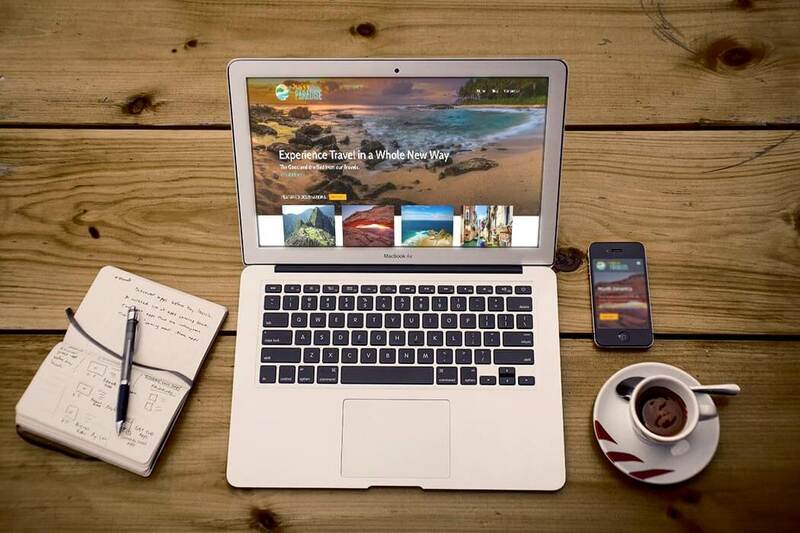 Many of us at Webaholics are avid travelers so working on this site was a total treat. 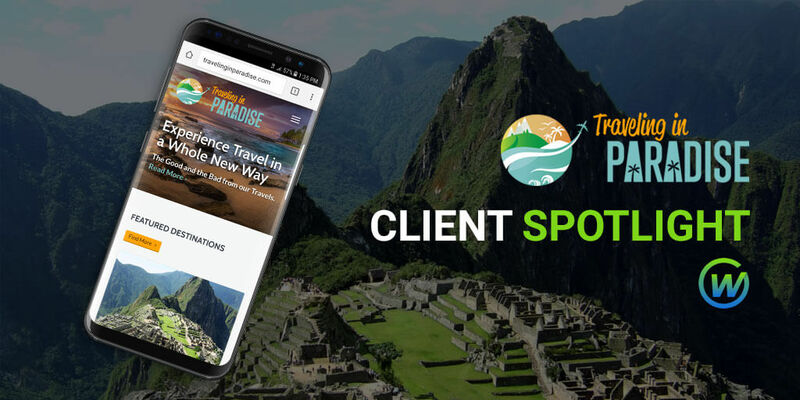 The folks at Traveling in Paradise have been around the world and share their experiences with you through their site. Let’s take a look together! Something that we wanted to showcase was their beautiful imagery. Through the travel and blogging the people at Traveling in Paradise have taken some fun photos of their journeys. Take a look at this View from Ahu Akahanga. It’s so pretty. It is easy to imagine yourself standing there with the crisp, salty air hanging around you and the loud sounds of waves crashing. Love it! They even have a place for you to see their favorite pictures here. A fantastic feature on Traveling in Paradise is their blogs. They have taken the time to go places and tell you what you might enjoy, and then what you will probably want to skip. A personal favorite is their write up and pictures of the Shrine Drive-Thru Tree. You get a fun and quirky look at an adventure you might not have considered taking. 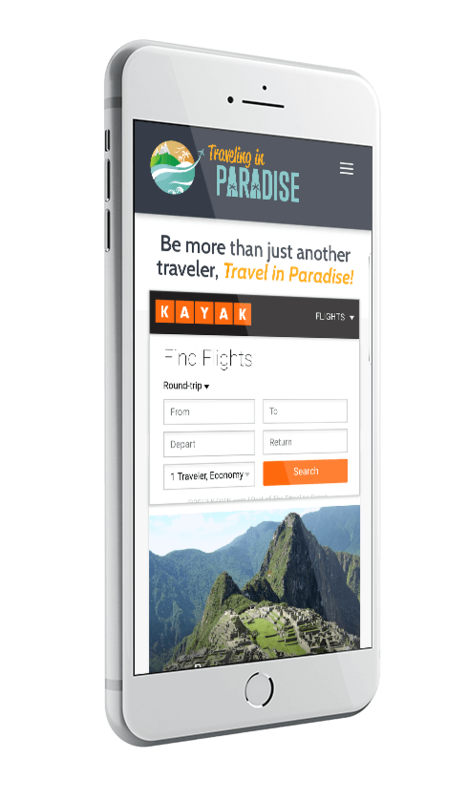 Mobile Responsiveness: Like all of our websites, Traveling in Paradise is built to work on any smartphone, tablet, or computer. Book Through Kayak: Interested in the many adventures that are seen on the site? Now you can book right then and there with Kayak being built right into the site. Great Imagery: High-quality photos and graphics were must-have in order to make this site a visual experience. We made certain that all photos are high quality with little-to-no blurriness. Fast Speeds: We built our site with high speeds and load time in mind. We know what a slow site can do to our psyches, so highspeed was a top priority. Traveling in Paradise may move to helping you plan your next adventure soon! 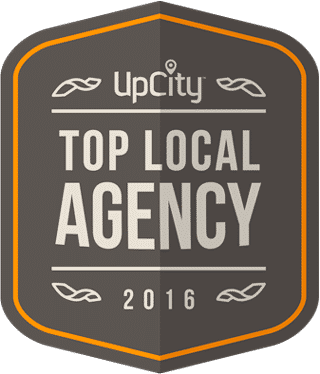 There’s lots of room for growth and we’re excited to help along the way. 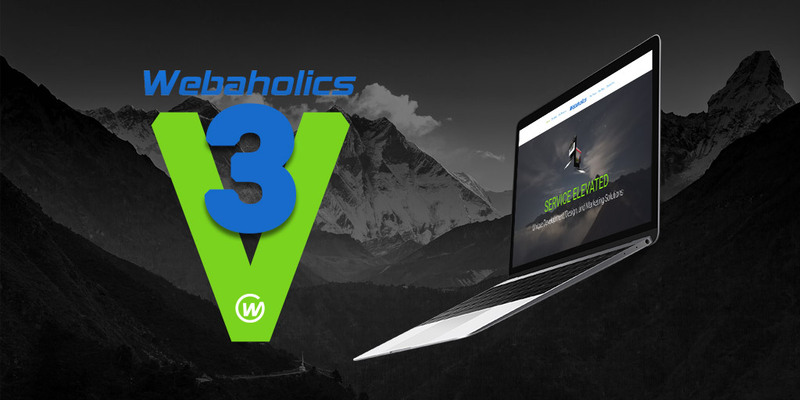 To learn more about having Webaholics build you an out of this world website shoot us an email at info@webaholics.co or give us a call at (801) 432-0676.